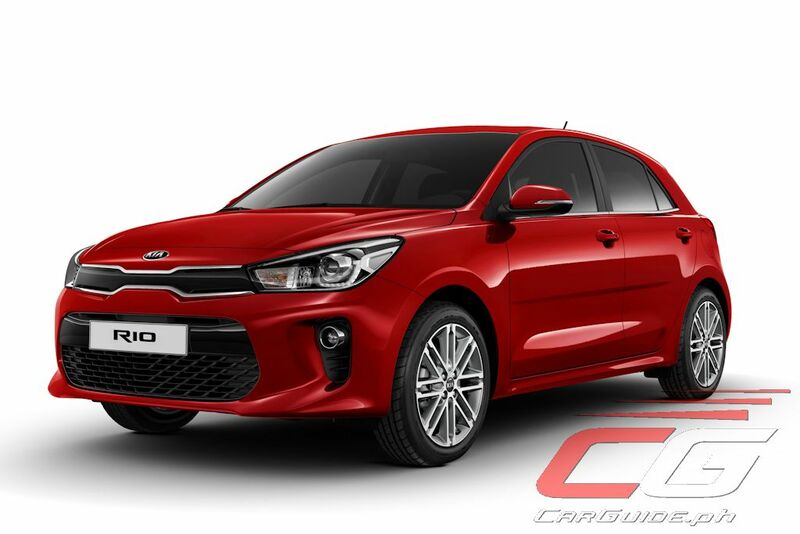 Columbian Autocar Corporation (CAC), the exclusive distributor of Kia in the Philippines brings in the all-new 2017 Rio. 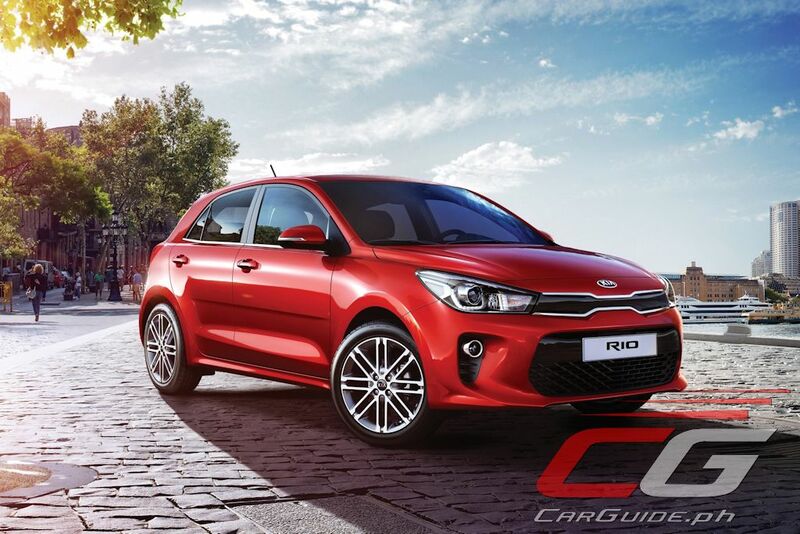 The latest in the Korean carmaker’s roster of vibrant, stylish, and dynamic vehicles, the all-new Rio is poised to unleash your “Freedom to Be You” as it hits Kia showrooms starting June. The all-new Rio showcases Kia’s new stylish direction collaborating the company’s design studios in Germany, California, and Korea. The fourth-generation model is defined by straight lines and smooth surfacing giving it a distinctive new look and a more mature character than its predecessor. The front has the newest evolution of the “tiger-nose” grille. Thinner in height and wider across the front of the car, it gives the Rio a wider stance. This gloss black grille is then framed by sculpted headlights featuring projector elements as well as U-shaped LED daytime running lights. In profile, the 2017 Rio shows a more balanced stance thanks to a longer hood/front overhang and shortened rear overhang. At the back, it’s much more taut thanks to the upright C-pillars and rear glass. The rear combination lamps are also thinner with a new arrow-shaped lighting signature. Inside, the 2017 Rio goes for a more modern cabin filled with sculptural forms. Like the exterior, straight lines running the width of the dashboard give it a wider appearance, increasing the sense of space. The dashboard itself is more angled towards the driver emphasizing its driver-focused design while the intuitive placement of all the controls makes it ergonomic and easy to use. The driver’s contact points—the seats and steering wheel are adjustable in various ways providing maximum comfort during driving. Some key convenient features include: a push-button engine start/stop, automatic climate control, cruise control, steering wheel-mounted stereo controls, and front and rear power outlets for device charging. The all-new Rio sits on a 10-mm longer wheelbase and 15-mm longer body contributing to a larger cabin and cargo dimensions. Leg room grows to 1,120 mm in the front and 770 mm in the rear, while the new model offers more shoulder room than most other cars in its class: 1,375 mm in the front and 1,355 in the rear. Despite the new Rio being 5 mm shorter in height than the outgoing model, front and rear headroom (1,021 mm and 966 mm respectively) are among the best in the B-segment. Luggage capacity has also increased by 37 liters to 325 liters (+13%), among the best in class. The new Rio features a split-level cargo floor, which enables owners to change the height of the cargo floor to fit items under the floor to prevent objects rolling around, or to keep them out of sight. The Rio is fitted as standard with 60/40 split-folding rear seats. Increasing its driver appeal, the all-new Rio features a 33 percent stiffer body compared to the outgoing model. Not only does this give the Rio better crash safety, but it also allows for more agile and immediate handling. The front MacPherson Struts and rear Torsion Beam Axle feature new spring and damper settings giving it a more pliant yet more obedient handling. In terms of powertrain, the 2017 Rio carries on the third-generation model’s 1.4-liter Kappa 4-cylinder engine (100 horsepower at 6,000 rpm and 133 Nm of torque at 4,000 rpm). Mated to either a 6-speed manual or 4-speed automatic, CAC says that it’s the most ideal drivetrain setup for traversing day-to-day traffic as well as occasional highway cruising. It’s also bound to be easier and more affordable to maintain in the long run as well. 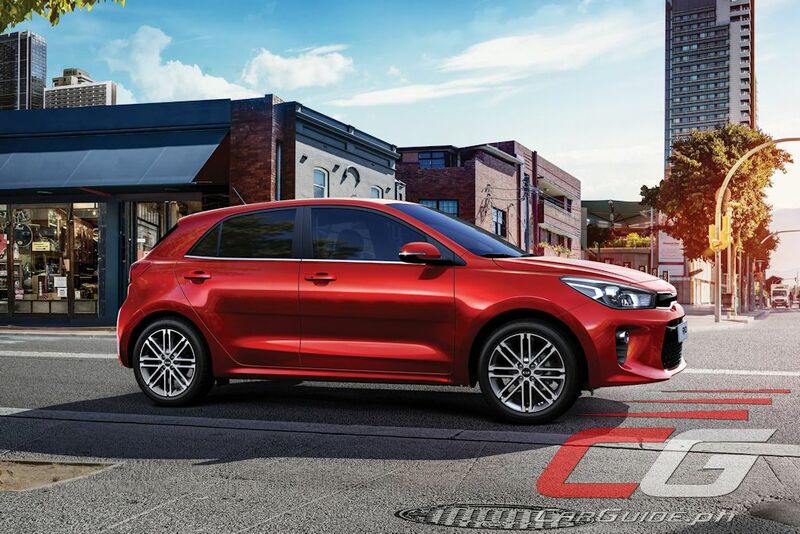 The 2017 Kia Rio will be available in a choice of 9 colors: Clear White, Silky Silver, Urban Green, Signal Red, Most Yellow, Deep Sienna Brown, Smoke Blue, Platinum Graphite, and Aurora Black Pearl. It will come in 4 variants with the following prices: SL M/T (P 735,000), SL A/T (P 845,000), and GL A/T (P 955,000). It’s now available for reservation at all Kia dealerships nationwide. Even my Lynx has a better stereo hahahaha. EH KUNG BIBILI KA NG KIA RIO ANO SASABIHIN MO. EH NA ANO LANG! Nice interior features but waddup with that jurassic infotainment system even in TOTL? Deal breaker yung stereo. Hehehe. Crap specs, doesnt even have 7 airbags or a touchscreen head unit. KIA again squeezing every profit they can get from the vehicles they sell. Actually kahit yung 900k model hindi touchscreen yung audio system. Specs are not competitive against the Mazda 2 or the Honda City. These 2 cars are the best in their segments. WTF another price increase. Kia Rio hatchback TOTL was 838k in 2012, 895k in 2016 and then now 955k! Nope, the Mazda 2 S MT is priced at 748k, while the City E is at 764k. Even with the top variant of the Rio, the City and the Mazda 2 are just only several thousand pesos away and you get a much better car. The problem with Filipinos is that they automatically assume that Mazda and Honda is expensive while they're not. Mazda and Honda do not offer discount. Plus I remember Honda dealer on my previous city also requires rustproofing while I heard kia does not. Rio has 100k price difference right off the bat. Honda offers a 20k discount in the City and Mazda offers around 20-30k discount depending on the dealer. Promo Sigurd Yung 750k Na mazda 2 dahil wala Na SA website Nila o dito. Cheapest mazda 2 is nearly 900k. Still, the 50k price premium of the Mazda 2 and the City are well worth it. Just look at the specs, equipment, and the quality. Don't get me wrong, I like Hyundai and Kia but here in the Philippines, the local distributor tends to jack up the prices while stripping the cars of equipment and kit as seen in the new Rio, Hyundai Tucson, Hyundai Elantra, in the new Sportage, etc. Got a 65K cash discount for the Mazda 2 V+. Mazda is not offering the S Trim, manual transmission anymore. "I like Hyundai and Kia but here in the Philippines, the local distributor tends to jack up the prices while stripping the cars of equipment and kit as seen in the new Rio, Hyundai Tucson, Hyundai Elantra, in the new Sportage, etc." - That's true. No wonder the new Tucson, Elantra tanked in sales. Entry level elantra still doesn't have a touchscreen infotainment, fog lamps and only driver side airbag. Ridiculous for a car that is priced at 1M. Even mini cars have airbags for both driver and passenger. Wanna know what HARI is smoking though. You get a compact car at subcompact prices with the six figure discount. You don't even own a car, lol. I currently have the hatchback bought brand new in 2012. It gulps gas like there's no tomorrow averaging at 5.2 kms/ltr on city driving with light to moderate traffic! After a month of used I returned it to Kia CDO to complain and they did a 3 days test including directly feeding the engine from a 2 liter canister attached to the fuel filter. They managed to get 6.5 kms./ liter on light traffic. I told them a 1.6L Altis with bigger body gets an ave. of 9-10 kms/L, almost twice as my smaller engine and body rio hatch! They explained it away as advanced vvti tech of toyota. Not only that, I also complained about front suspension rattles and they said it's normal for a low series 17 inch tires. I have a lot of complaints on my rio but the only comfort I get driving this one is the body style, which I do love. Unfortunately, I can not say the same on the all-new 2017 model. They do have great service and warranty though. I won't buy a kia anymore. Kia is used to be a budget brand alternative over its sister company Hyundai. But here in the Philippines they are out of their minds. Deal breaker for me is the stereo and the 100hp. At 950k you are directly competing with jazz vx at 120 hp with 7 inch touchscreen infotainment. Syang ganda pa naman ng exterior which is ung lang ang advantage over competition.